Robbie Ahern, Michelle Miller, Sherry Veach, and ...? 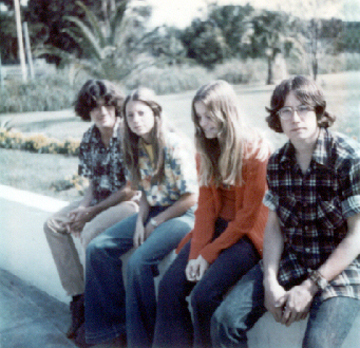 sitting on the low curved stucco wall that bordered the front lawn near the Main Building in 1975. Photo sent in by Art Copeland, class of 1976.